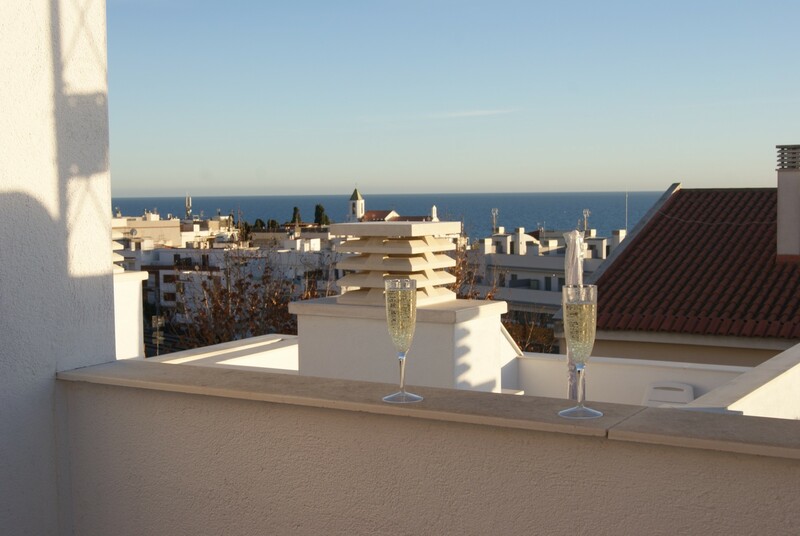 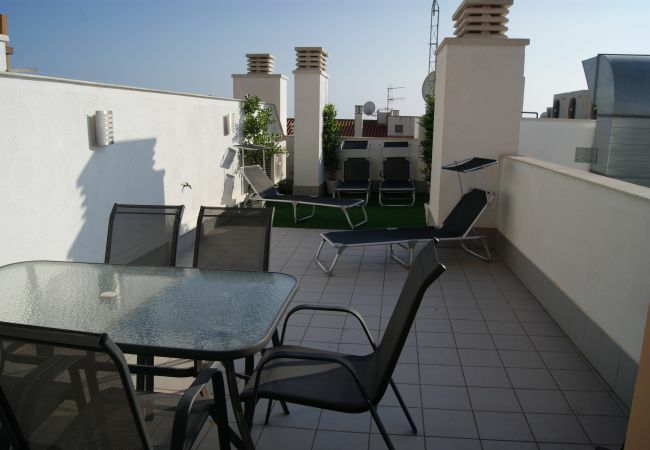 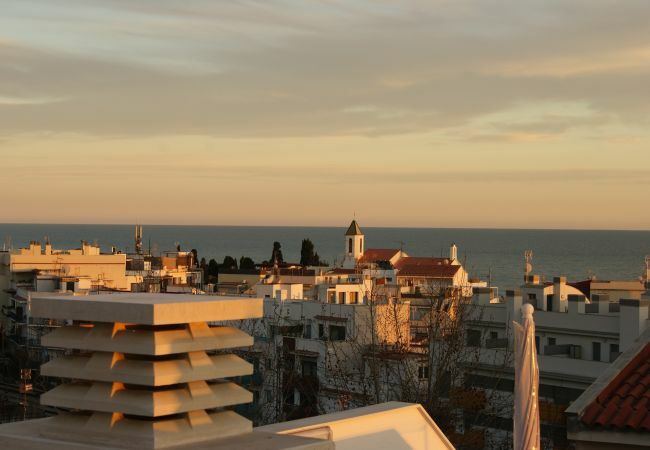 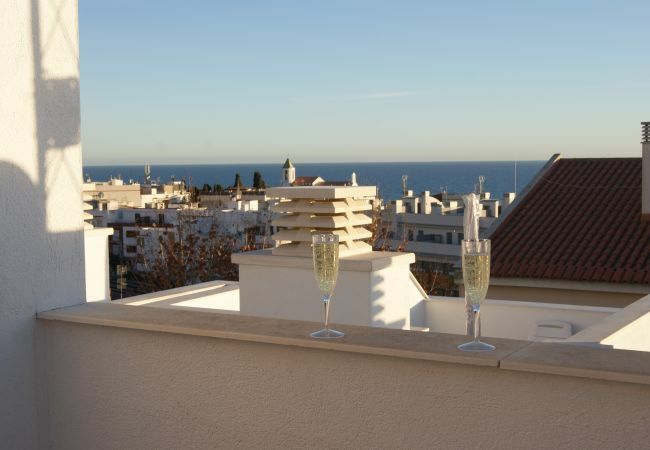 This is a great new apartment available exclusively to Think Sitges clients. 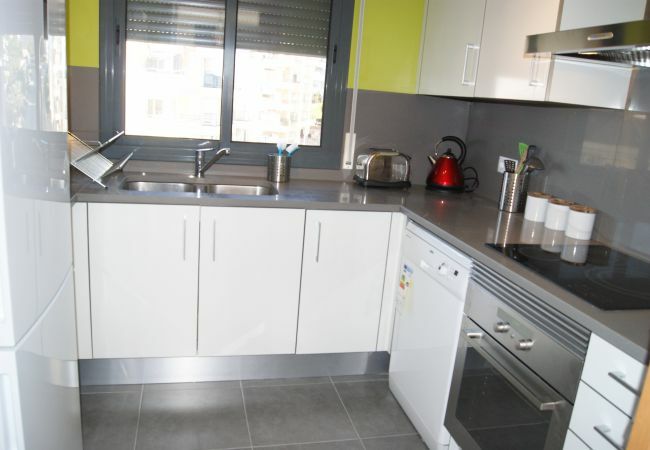 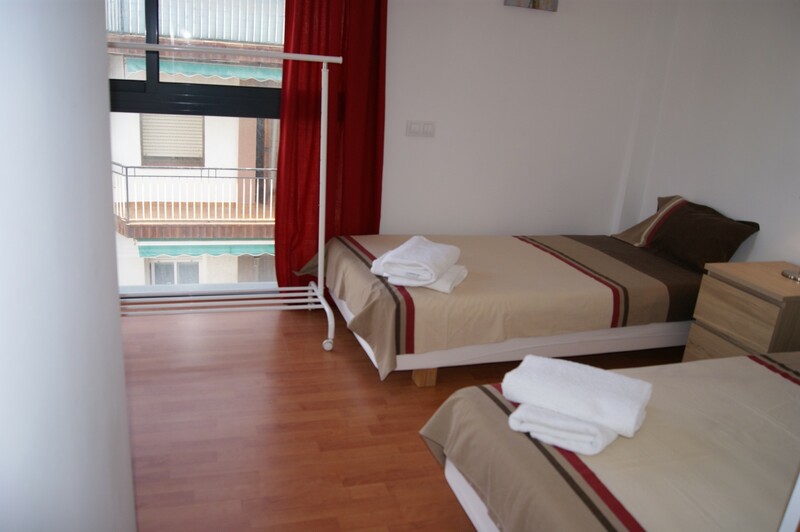 It is located a short walk from San Sebastian and Balmins beaches, near two large supermarkets and a pharmacy and only 5 minutes walk into town. 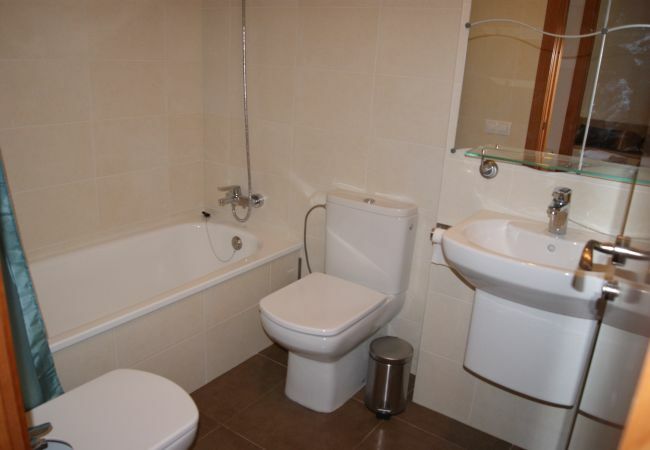 It is on the third floor and has a lift. 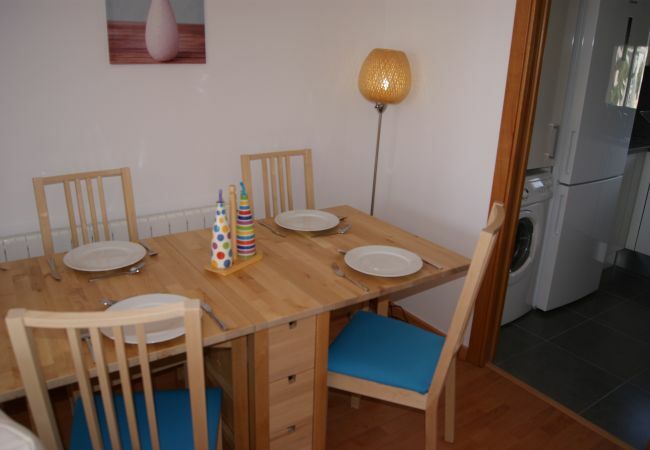 The apartment has a lovely light living/dining room with access through sliding doors onto a great size terrace with table and chairs for outside dining. 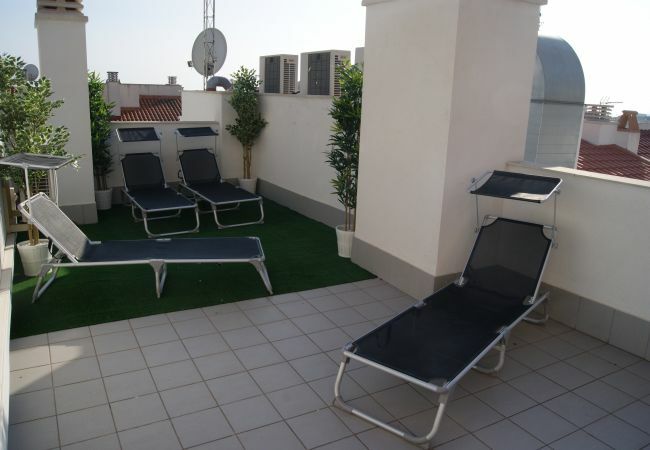 There are also 4 sunbeds, a parasol and a large awning for shade. 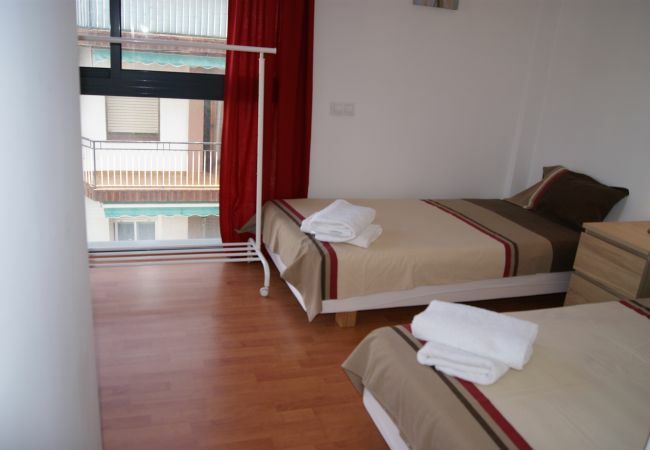 There are two bedrooms, one double and one twin with very comfortable beds. 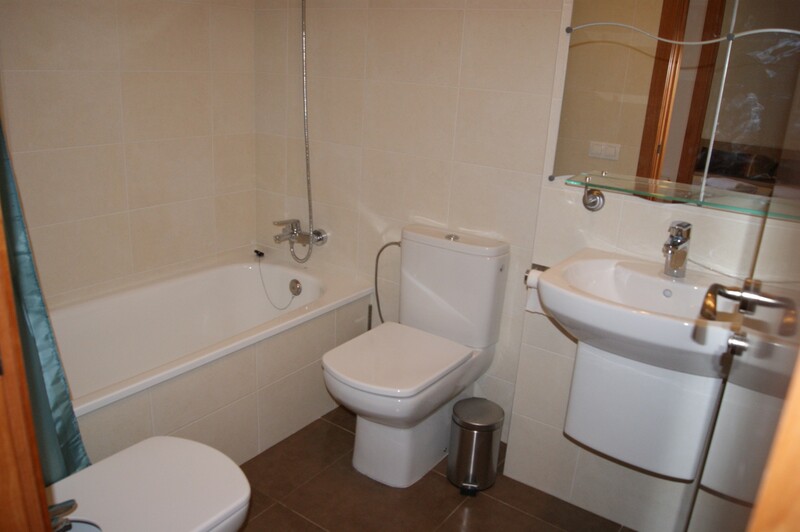 The bathroom has WC, bath and shower. 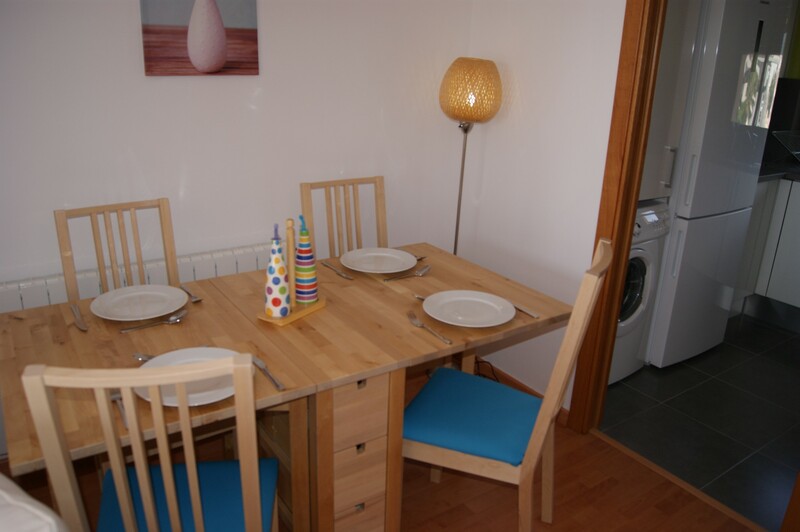 The kitchen is fully equipped for self-catering with brand new appliances - washing machine, dishwasher, microwave, hob and oven. 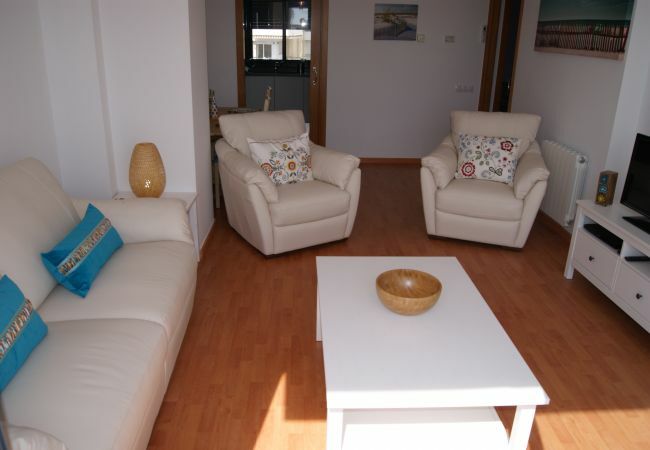 The living room has a sofabed, 2 easy chairs, TV and DVD. 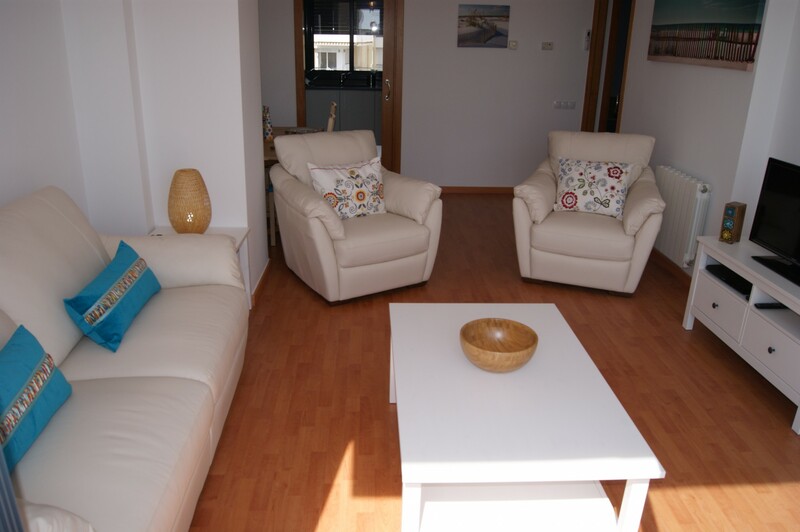 There is air con throughout the apartment plus central heating for the winter months. 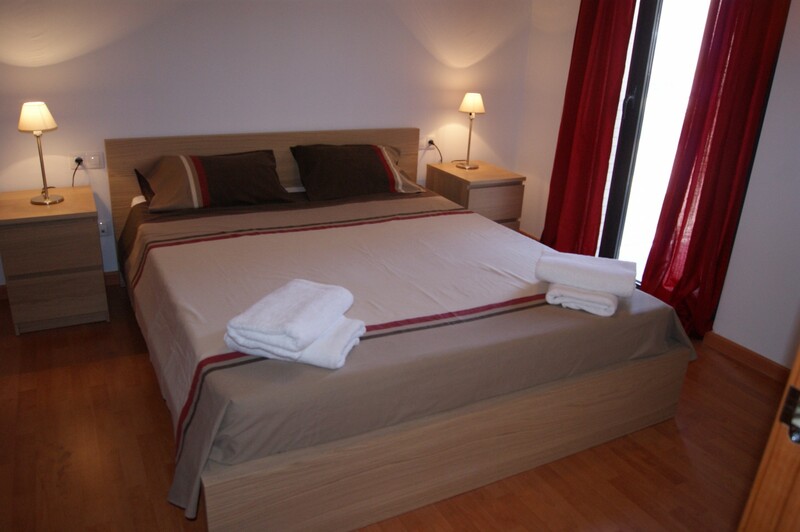 WiFi internet is also included for the convenience of our guests. 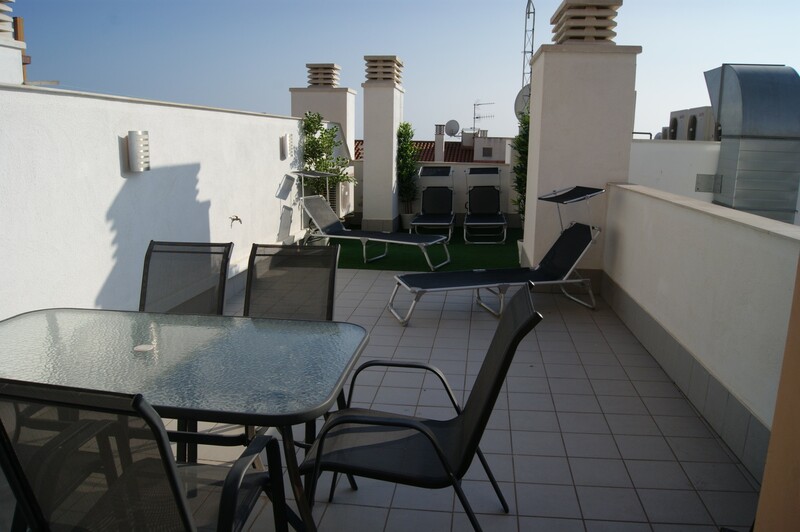 We highly recommend this apartment to those of you looking for a quieter location than Central Sitges but still within walking distance of everything. 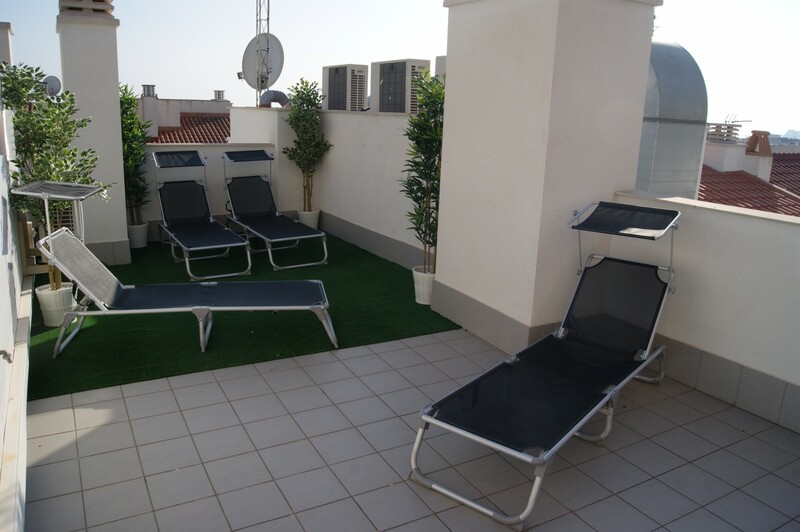 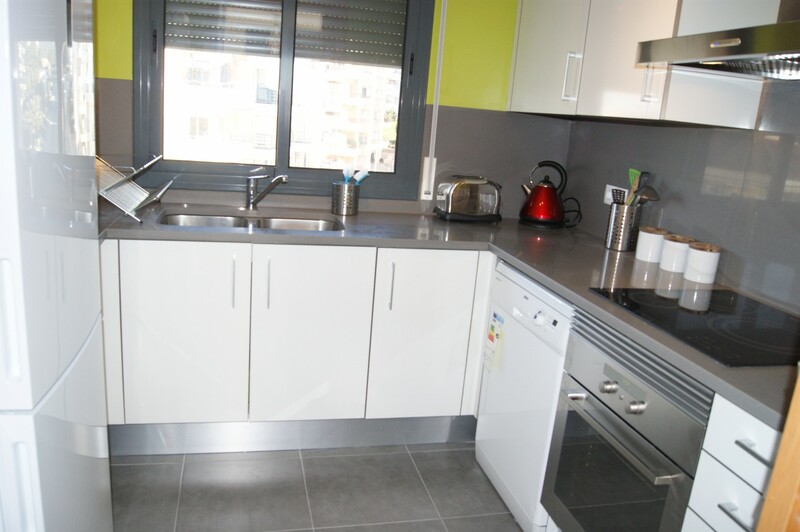 - TV, DVD, 3rd floor, lift, garden furniture, terrace, iron, internet (Wi-Fi), 90 m² property, central heating, air conditioning throughout the house.